Mr. Chiaraviglio received his B.S. from Harvard University and M.S. from the University of Chicago. He has worked previously as a systems engineer, programming project consultant, and software test engineer for companies such as Miranova, Laserlith, and Ziatech/Intel, and was a Principal Investigator for National Science Foundation and California SBIR grants. He has worked in the Kirby Laboratory since 2003 on high throughput antimicrobial discovery and Bartonella pathogenesis. Outside of the laboratory, Lucius is an active member of the Boston Street Railway Association, an organization devoted to public transportation in New England. Dr. Kang received his Ph.D. from Korea University studying bacterial hydrocarbon degradation by several model organisms in the laboratory of Professor Professor Woojun Park. He then performed postdoctoral work on the genetic regulation of microbial arsenic metabolism in the laboratory of Professor Timothy R. McDermott at Montana State University. He joined the Kirby Laboratory anti-microbial discovery effort in March 2013. 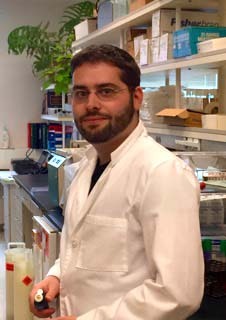 KP joined the laboratory in July 2015 after completing his PhD thesis in Microbiology and Molecular Genetics at the University of Vermont in the laboratory of Keith Mintz. For the past few years he has been studying Aggregatibacter actinomycetemcomitans, a noted cause of juvenile periodontitis, aggressive periodontal disease, and "HACEK" group endocarditis, taking a proteomics approach to investigate cell membrane physiology. He previously received a master degree for his studies on multi-drug efflux pump-mediated antimicrobial resistance in Vibrio cholera and Staphylococcus aureus. Thea joined joined the laboratory in January 2016 to explore synergy combinatorial therapy for CRE and other multi-drug resistant Gram negative organisms. Prior to joining the laboratory, she received her MD degree from Stanford Medical School, performed a residency in pediatrics at Children's Hospital Boston, and completed a clinical intensive year of a Pediatric Infectious Diseases Fellowship also at Children's Hospital. She recently completed a CPEP Clinical Microbiology Fellow at BIDMC, a program which integrates training in clinical microbiology and clinical microbiology-related research. Sarah is an sophomore at U. Mass Amherst and joined the lab for the summer and school breaks to study antimicrobial synergy against prokaryotic and eukaryotic life forms. .
Kate joined the laboratory in February 2018 after finishing her PhD work studying the pathogenesis of Mycobacterium tuberculosis in Miriam Bronstein's laboratory at the University of North Carolina at Chapel Hill, She is identifying small molecules that evict drug resistance plasmids and restore susceptibility in carbapenemase-producing Enterobacteriaceae in collaboration with the Roman Manetsch's medicinal chemistry group. Divya is a freshman at Northeastern University who joined the laboratory in March 2018 to study antimicrobial resistance and apramycin. Matt is our resident mechanical engineer and is working on development of the MAST platform and Technologist Assist. At Cedarville University, he was part of the Formula and Supermileage SAE Design Teams and later worked as a medical systems architect and engineer. He completed a Post-Baccalaureate Premed Certificate Program at Tufts University prior to joining the lab. His ultimate goal is to become a physician-scientist. He will be attending medical school in the fall. Liam graduated from Colgate University with a degree in physics. In the lab, he is working on in vitro pharmacokinetic/pharmcodynamic modeling of antimicrobial combinations. He continues the laboratory tradition of extremely gifted and dedicated snowboarders (initiated by Kat Truelson). Liam will be starting graduate school at the University of Colorado Boulder in the Environmental Sciences in the fall. 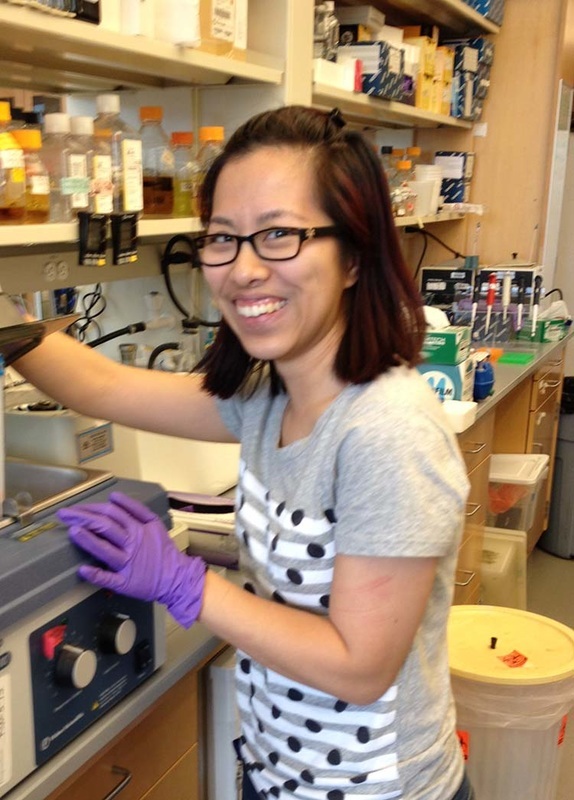 Kat joined the lab as an undergraduate at Boston University. She is interested in antimicrobial resistance and potential graduate school a few years in the future. She joined the laboratory in March 2016 and performed projects on antimicrobial synergy and became an expert at antimicrobial time-kill studies. In January 2018 she joined the W. M. Keck Ecological and Evolutionary Genetics Facility in the Josephine Bay Paul Center at the Woodshole Marine Biological Laboratory as a research assistant in the laboratories of Hilary Morrison and Mitch Sogin where she was busy sequencing the genomes of archaea from deep see volcanoes! In the summer of 2018, she moved to Chicago to join Howard Shuman's laboratory to study Legionella and Acinetobacter as a prelude to graduate school studies in the biomedical sciences. She is currently a scientific content editor at JoVE (the Journal of Visualized Experimentation) and actively engaged as a scientific writer on many fronts including the ASM Blog and her own blog, The Microbial Menagerie. Also see her blog, scientific writing, and photography at http://jwtsang.com/. They are awesome. 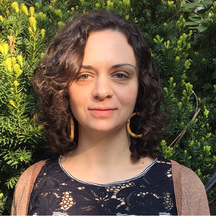 Sylvine joined the Kirby Laboratory as a postdoctoral fellow after completing a PhD in parasitology/neglected tropical diseases at the New England Biolabs and the University Louis Pasteur (Strasbourg I). She is currently a Senior Scientist at Becton Dickinson. Scott joined the laboratory as a postdoctoral fellow after completing a Clinical Pathology Residency at Beth Israel Deaconess Medical Center. He later performed a Medical Microbiology Fellowship at BIDMC. He is currently the Associate Director of Clinical Microbiology at North Shore-LIJ Medical Center and an Assistant Professor of Pathology and Laboratory Medicine at the Hofstra North Shore-LIJ School of Medicine. Reportedly he has his hands full with microbiology diagnostic clinical trial work. Calvin joined the laboratory as part of the Harvard Medical School Scholars in Medicine Program devoting a "fifth" year in his HMS medical school training to antimicrobial research. He completed a rotating internship at the University of Chicago and is now in a Dermatology Residency Program at the University of Texas Southwestern Medical Center in Dallas. Dawn joined the laboratory as a Research Assistant after graduating with a Bachelors of Science from the Massachusetts Institute of Technology. She is currently completing her PhD in Medical Geography at the University of Florida. Ryan is an undergraduate at Northeast University. He joined the Kirby laboratory in the spring of 2015 to study multi-drug resistance in Gram negative bacteria and develop novel susceptibility testing methodology. We will definitely be taking advantage of his skills using Mathematica. His photograph was taken during his first experiment in the laboratory!